Following the successful Singaporean-French Simposiums SinFra'2009, hosted in Singapore, and SinFra'2012 held in France. SinFra’2015 welcomes researchers, industrials and collaborators under IPAL organizations and those who wish to collaborate with IPAL. The symposium proposes outstanding Keynotes and Invited Scientific Sessions, related to relevant Singaporean – French common interest fields, illustrating the present and possible future activities in IPAL. Following the successful Singaporean-French Symposiums, SinFra’2009 hosted in Singapore, and SinFra’2012 held in France, SinFra’2015 will take place in Singapore on 2nd-3rd of February 2015. 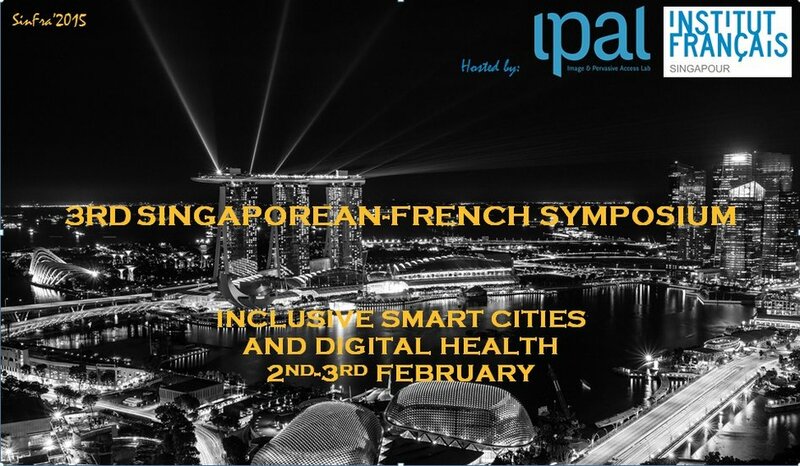 The symposium proposes outstanding keynotes, scientific presentations and industrial talks, related to Singaporean–French common interest fields under the theme “Inclusive Smart Cities and Digital Health”. SinFra welcomes researchers, industrials and collaborators under IPAL organizations and those who wish to collaborate with French and Singaporean institutions. 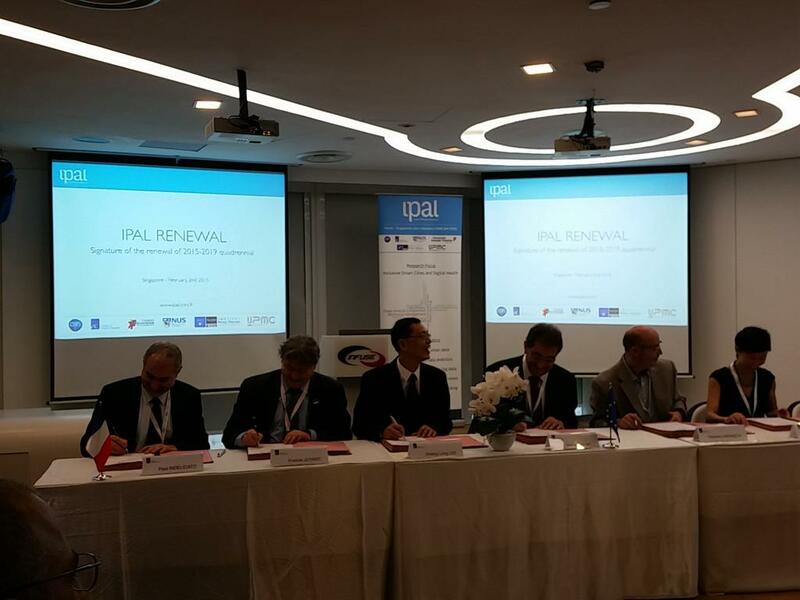 Sinfra’2015 hosted the signing ceremony for the renew of IPAL which set up in 1998. 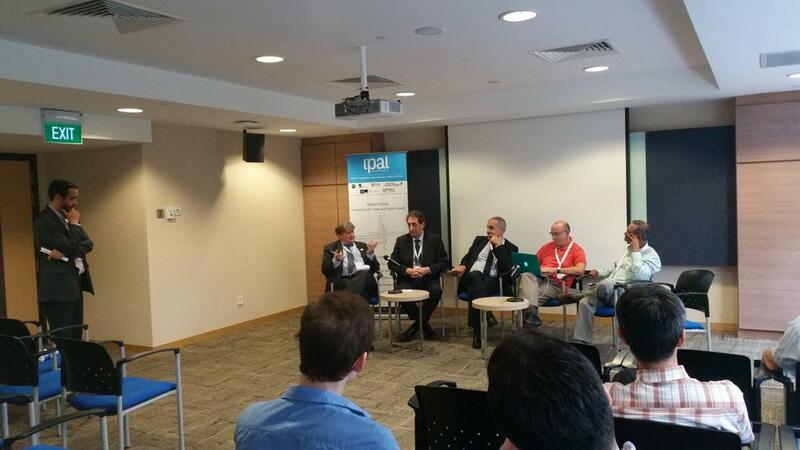 IPAL is a pillar of the of the Franco-Singaporean vibrant cooperation in Research. The participation to SinFra’2015 is free and open to the public who shares the vision that scientists have a key role and a responsibility in tackling the challenge of inclusion of frail and dependent people in our societies. At present, the absolute number and proportion of the frail and ageing population have been increasing globally, and especially rapidly in France and Singapore, while the numbers of human resources that could care for the dependent people have been significantly diminishing. Due to this, a burden on the elderly and on the society has been pressing. Thus, Information and Communication Technologies (ICT) is a promising and pioneering field that mitigates the difficulties in everyday life settings and broadens beneficial opportunities.